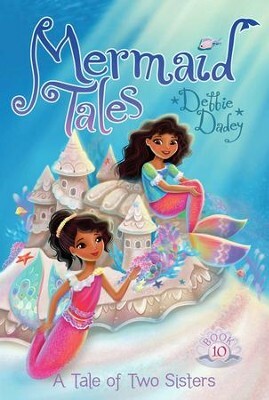 Echo is thrilled to find a human object in this Mermaid Tales adventure, but will sibling rivalry keep her from appreciating her prize? Echo is dogfish tired of having to share everything with her bossy big sister, Crystal. So she’s extra excited when she stumbles upon a shiny human object near her shell. Finally, something of her very own! Echo is obsessed with people, so she’s very curious as to what her fin-tastic human find might be. Could it be something totally wavy, like a music-making machine? What if it’s something that could allow her to actually talk to humans? Before she can find out, Crystal swipes the object, claiming she found it first! Echo is steaming mad. After the mergirls duke it out in a messy tug of war, their mother takes the object away. “You’ll get this back when you can learn to get along,” she tells them. But that’s easier said than done. How far is Echo willing to go to get her precious human object back? I'm the author/artist and I want to review A Tail of Two Sisters - eBook.